A new series of tattoo inks are designed to change color with chemical fluctuations in the bloodstream. 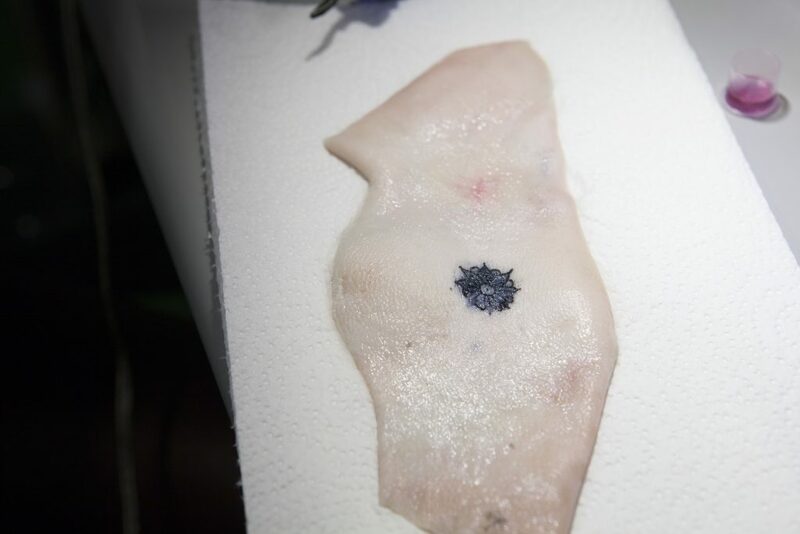 In collaboration with Harvard Medical School students Ali Yetisen and Nan Jiang, MIT Media Lab researchers Katia Vega, Xin Liu, Viirj Kan, and Nick Barry have cultivated new tattoo inks that double as a “biosensors.” Operating under the name DermalAbyss, the project replaces ordinary tattoo inks with ink-like substances that track changes in your bloodstream. 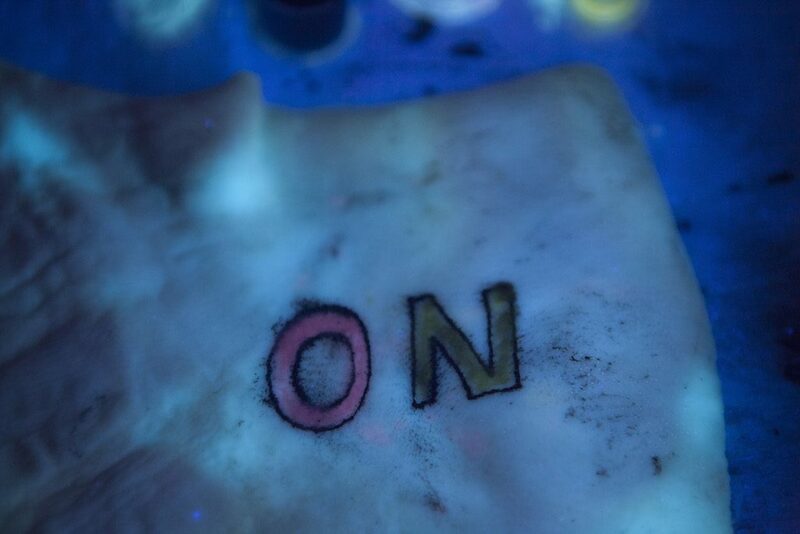 “Blend[ing] advances in biotechnology with traditional methods in tattoo artistry,” DermalAbyss would turn the skin into an “interactive display.” So far, the aspirant syndicate has developed a pH sensor that transitions between pink and purple, a glucose sensor that shifts between blue and brown, and two fluorescent sensors linked to your sodium and chromogenic pH values. A given example is the diabetic, who tracks their glucose levels between three and 10 times a day through a painful procedure that repetitively breaks the skin. But DermalAbyss would only require the brief, one-off discomfort of getting the tattoo. 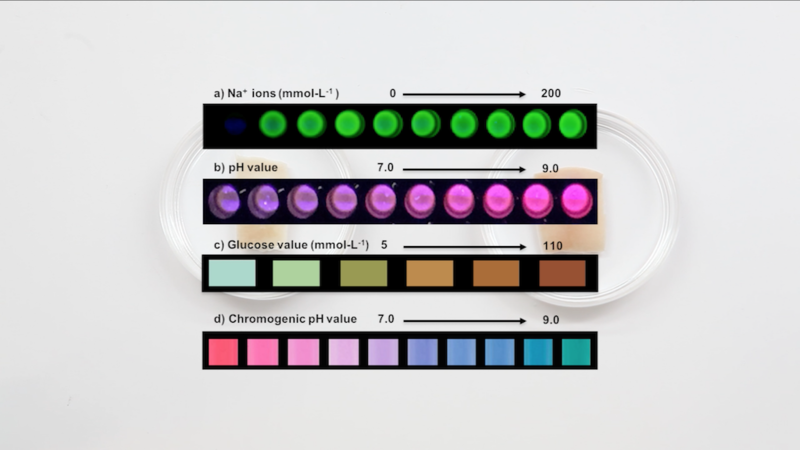 Once the ink is injected into the skin, the glucose biosensor would simply change color to indicate whether insulin is required. Given the pervasive popularity of tattoos, DermalAbyss could drastically improve lives—and look good doing it.